Which Warlock talents were overhauled? Which talents are new in Patch 4.0? 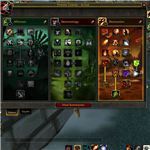 WoW Warlocks received a ton of new talents and abilities, along with the gameplay design changes. Affliction was treated to more DoTs, group usefulness, and a couple of AoE effects. With Patch 4.0, Affliction may just be able to avoid being dismissed as just a leveling build, and give players who enjoy the style of causing a slow, painful death another choice in end-game raiding. Doom and Gloom: Increases crit chance of Bane of Agony and Bane of Doom. Jinx: Curse of Elements has an AoE effect, all targets within 20 yards. The WoW Warlock on CoE duty during trash pulls now only has to cast it once; be aware, though, that only one curse can be applied to any given target. Hold off with Curse of Weakness or Curse of Tongues on specific enemies, unless you're willing to have Elements over-written. Soul Swap: Instant damage to your current target, and removes all Shadow Dots. The next target you cast Soul Swap on, within 20 seconds, will receive all of those DoTs removed from the previous target and additional instant damage. This is an amazing spell for trash pulls, solo-questing, and PvP. No longer will your DoTs be wasted, at least, not while other enemies are in range. 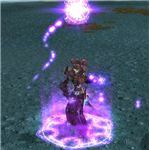 WoW Warlock: que the evil laughter! Soulburn: Seed of Corruption: Adds an effect to your Seed upon Soul Shard use. Corruption will afflict all enemies damaged when the Seed detonates. In addition, that Shard will be refunded unless the detonation is unsuccessful. 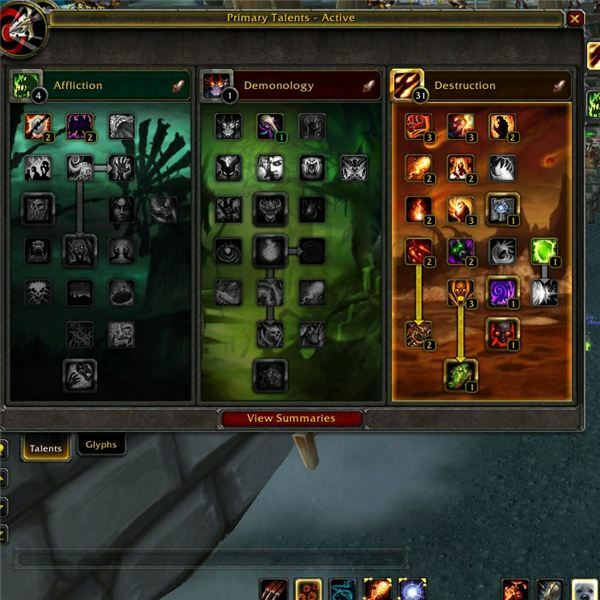 Demonology has also gained some cool abilities with Patch 4.0. Doomguards are now simply summonable, providing some short-term dps and tanking, and no longer proc from the re-made Bane of Doom. 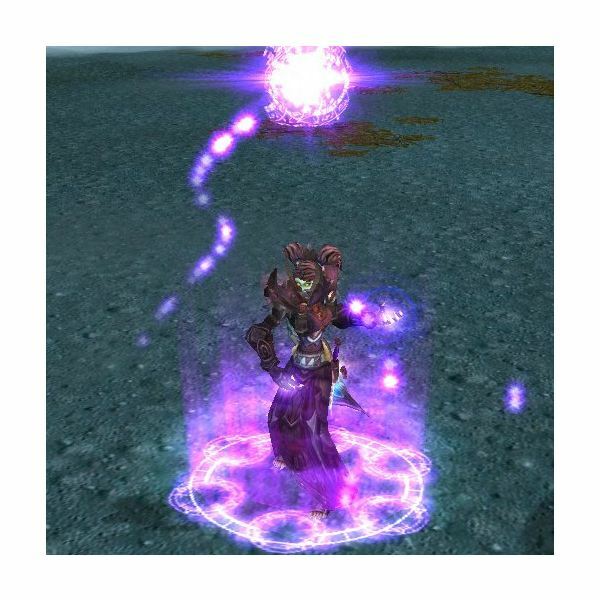 In addition, the Voidwalker becomes available at level 8 and controllable at level 10. If that wasn't enough to sell you on leveling as Demonology, consider that the Felguard is in the first tier of Demo Warlock talents. Yes, a Felguard at level 10. You're welcome. Mana Feed: When your summoned demon crits, you gain a small percentage of your mana. Also, your demon will gain 30% of the mana you receive from using Drain Mana (who uses Drain Mana?) or Life Tap. Impending Doom: Causes your Bane of Doom to summon a demon more often. Also lowers the cool down on Metamorphosis when you use Shadow Bolt, Hand of Gul'dan, or Incinerate. Hand of Gul'dan: Summons a falling meteor that deals immediate damage and adds an AoE increased vulnerability to crit. Aura of Foreboding: Adds root and stun effects to the Hand of Gul'dan' AoE effect. Ancient Grimoire: Increases duration on your Doomguards and Infernals. Cremation: Increases the damage done by Hellfire and makes Hand of Gul'dan refresh an existing Immolate DoT. Destruction appears to be lagging behind in improvements with the arrival of Patch 4.0. The new Soul Shard mechanic, however, may be more useful to this tree than any of the others with an increased crit chance to Searing Pain and instant Soulfires. Nether Ward: Traveling all the way down to the fourth tier, this talent transforms your Shadow Ward into an absorption for all magic effects. Nether Ward is just one more reason for Mages to hate you, but that's okay; their tears are delicious. You now have the ability to soak up frost, fire, arcane, and holy magic along with our trademark shadow. Empowered Imp: Moved over from the Warlock talents Demonology tree and redesigned, this talent now gives you a 4% chance to proc an instant Soulfire. Bane of Havoc: Banes are now separate from curses, allowing you to have one of each on your targets. However, this spell will now compete with Bane of Agony. When applied, it causes that target to take 15% of damage you do to any other targets. Fire and Brimstone: Increases Incinerate and Chaos Bolt damage while increasing the critical chance of Conflagrate. Patch 4.0 mixes all the pre-existing Warlock talent notions into an evil green stew. 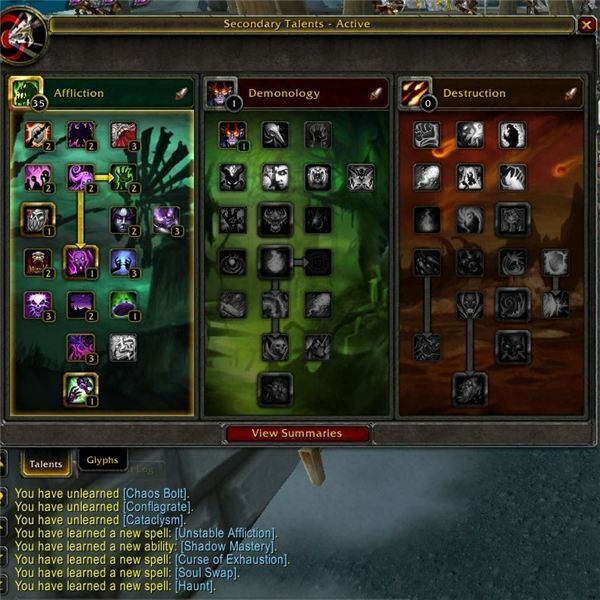 Demonology is reigning as the leveling spec, Affliction becomes viable end-game, and Demonology has some great PvP abilities and utility not seen for quite some time. The Voidwalker takes a seat on the bench, dispel utility is divided between the Felhunter and the Imp, and there is little reason to pull out that Succubus. 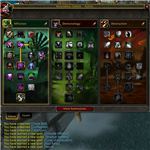 If you're new to WoW, Warlocks, or a particular spec, rest assured--everyone is learning the game all over again.